Five on Friday - Already? Whoa! I can't believe it's already Friday! We've had an exciting week over here. 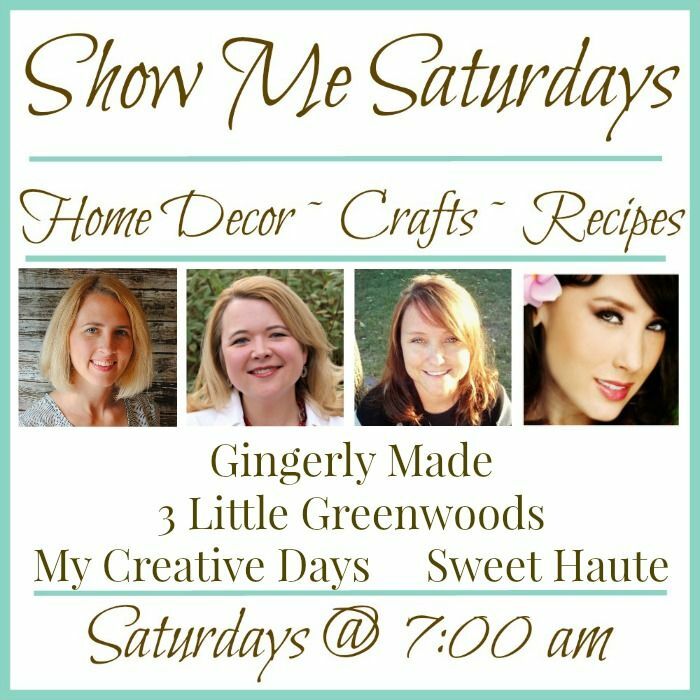 Lots of fun stuff! Let's get to it. 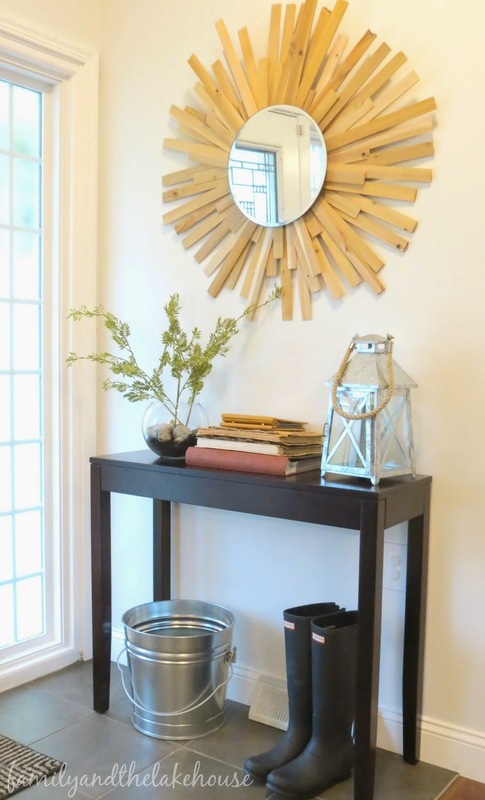 Earlier in the week I blogged about a couple of diy projects. I made a cedar shim sunburst mirror and I made a fake plant look real. Both were fun, easy and inexpensive. You can read more about both projects here. He may have to start wearing these glasses all the time due to the "adorable-ness" factor! Speaking of Henry, he did something amazing this week. I know, I know...this is another #proudmamamoment, but I must brag about him. Besides, this could possibly not happen again for another year! You just never know with kids. LOL! So, Henry likes to make books by using a stapler (with Mama close by, of course) and then he likes to draw/write on the inside and the outside of the "book." He handed me a bag and told me to unwrap it (he insists that I "unwrap" everything by using scissors to carefully cut it open). When I opened it, this is what I found! He nonchalantly told me that he knows how to draw an M and an O now, so he wrote MOM. Really kid?! I guess their brains really are sponges. That moment totally fell into the top 10 most memorable moments with/of him. We went to our nephew's first birthday party over the weekend. The weather was gorgeous and the kids had a blast! Eliza loved playing on the swing set and running over to check on the pony! I love watching her play - so much sweetness. Oh and my brother's house is surrounded by these wind turbines. They're always cool to see, not to mention the fact that Henry was thoroughly entertained for miles and miles! Very cool. This picture was taken after our first boat ride of the year! The kids loved it and they were soooo well-behaved. Now we just need warmer weather! About a month ago I had some girls over for a Pinterest crafting night. I've been wanting to blog about my project, but due to my indecisiveness, the cedar shim sunburst mirror that I had made just sat there and stared at me. I finally, finally decided to hang it up in the entryway area of our home. 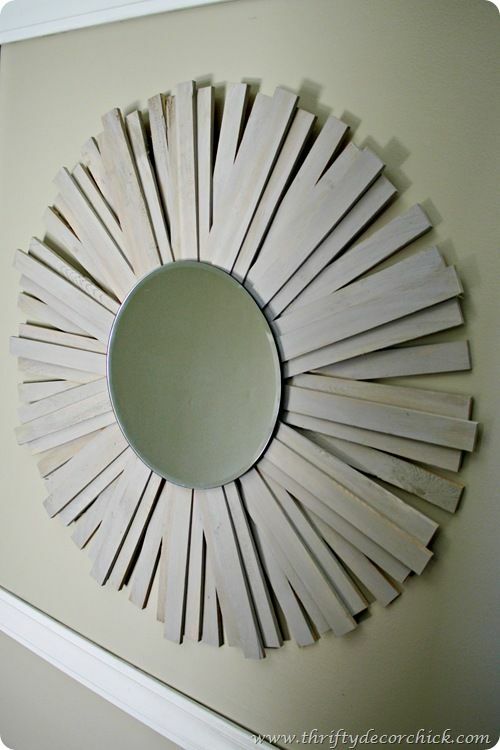 I was inspired to do this project from Thrifty Decor Chick's fantastic cedar shim sunburst mirror tutorial. She did a great job with her mirror - it's perfection. 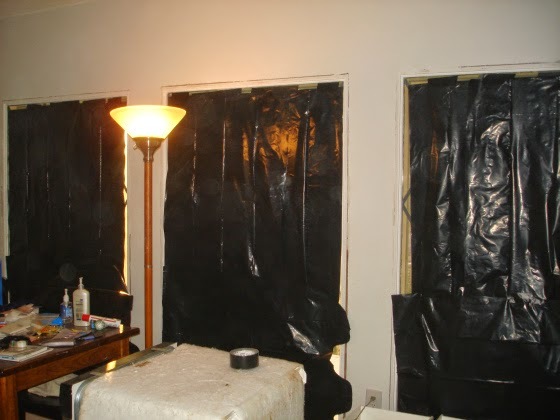 The project itself was easy and inexpensive. 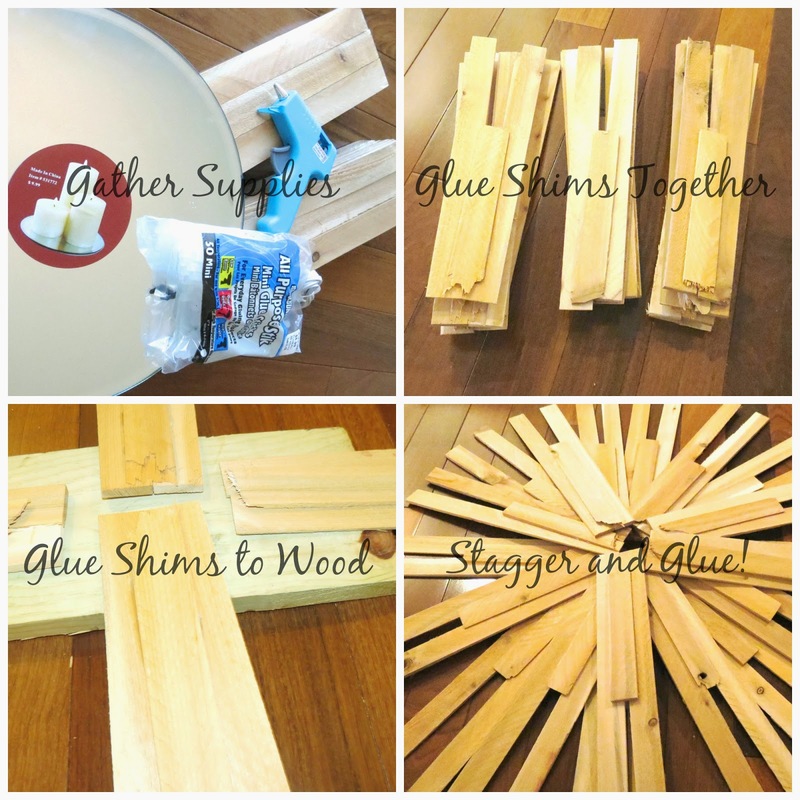 The supplies needed are minimal - glue, glue gun, mirror, cedar shims and a scrap piece of wood. 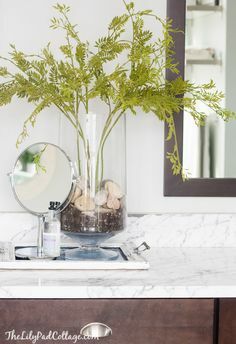 After I hung up the mirror, I knew I wanted a plant. ...But not a real plant because Nubs the Cat would've eaten it, I'm sure of it. 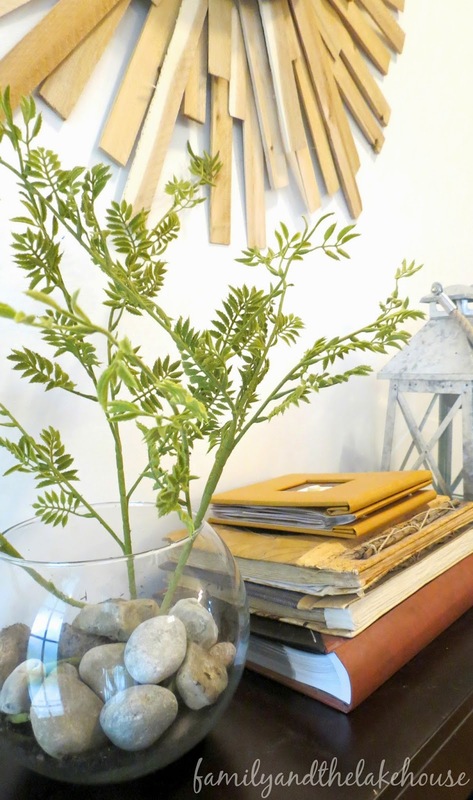 As luck would have it, one of my favorite bloggers over at The Lily Pad Cottage posted about how to make a fake plant look real. 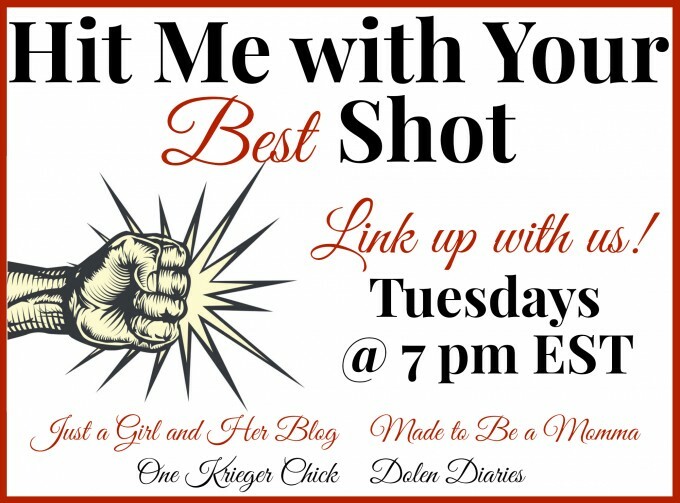 I loved it so much that I commented on her blog overly expressing my gratitude and then I was off to pick up a couple supplies (a faux plant and a glass vase) at Hobby Lobby. 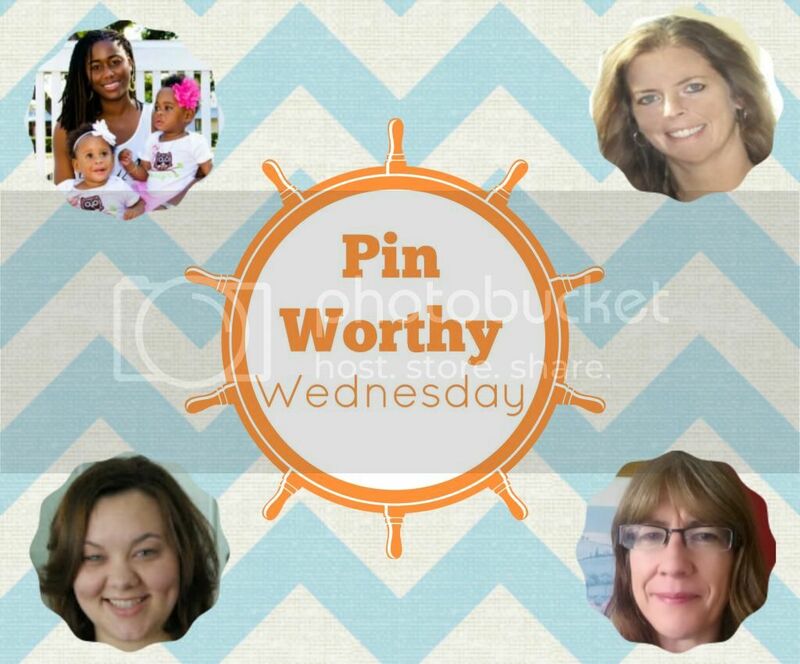 You can find their projects pinned here and here. Overall, I thought both projects were fun and easy! Now go out and collect some dirt and rocks! 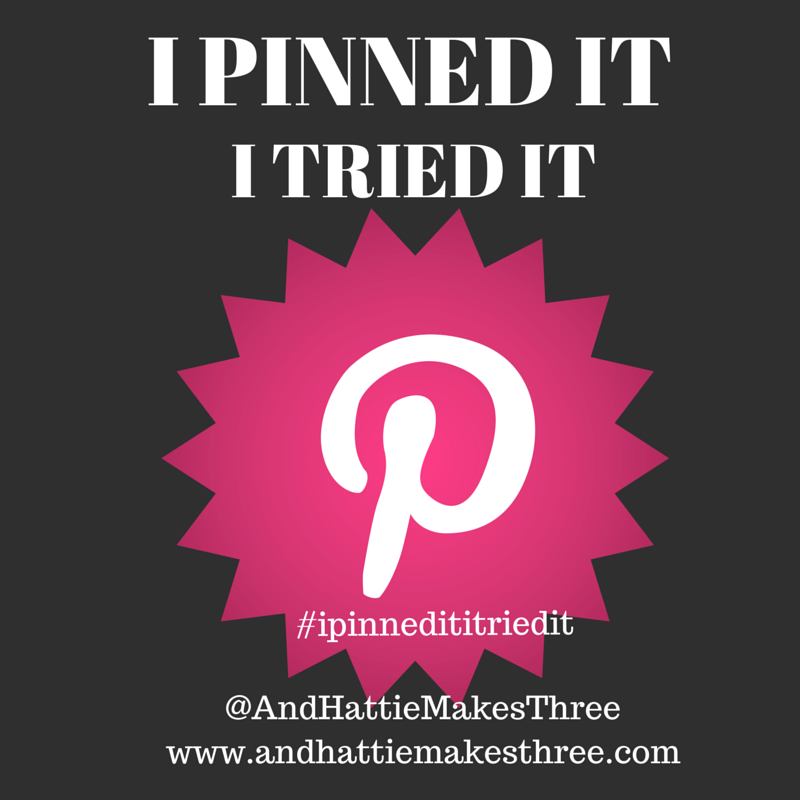 I'm linking up with Jen over at andhattiemakesthree for her first I Pinned It, I Tried It link up! 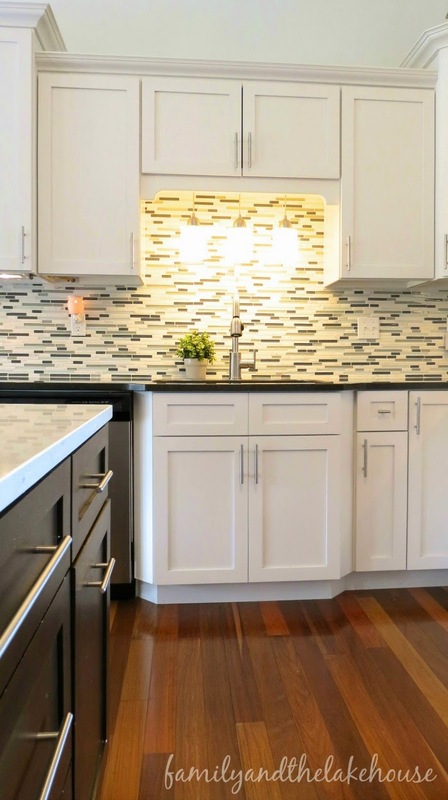 If you venture over to my Home Tour page then you'll get a little glimpse of our kitchen. What I haven't posted are the before pictures. Dun Dun Duuuuun! When Jon and I bought this house back in 2007 we never dreamed we'd renovate so much. 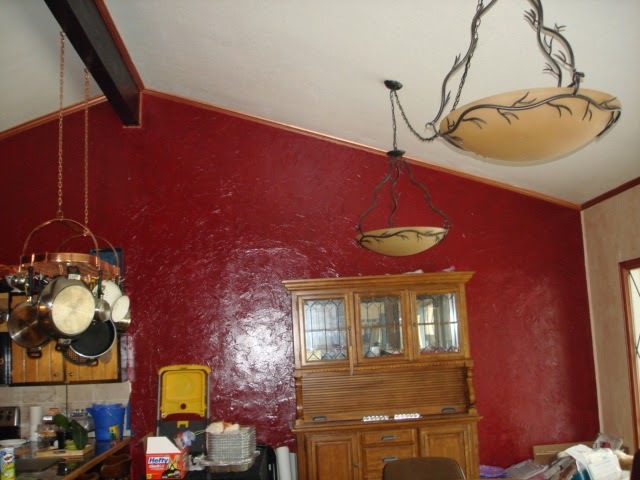 We thought...some paint here, some paint there...some new carpet... WRONG! We renovated. We renovated a lot. 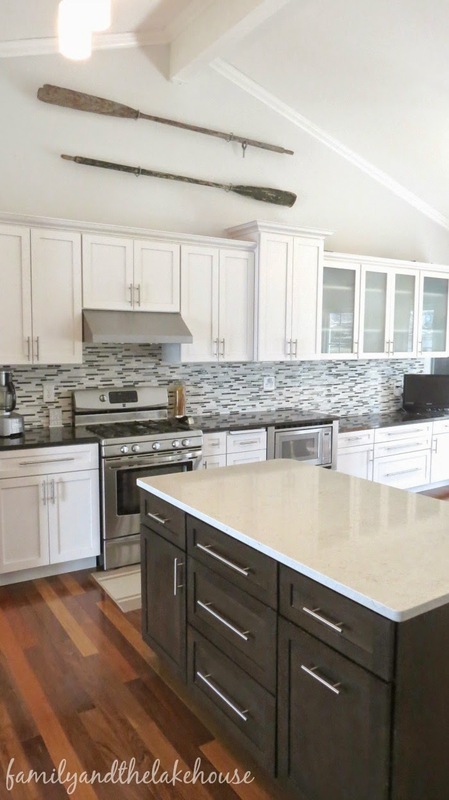 Below are a couple pictures of our kitchen around move-in day. 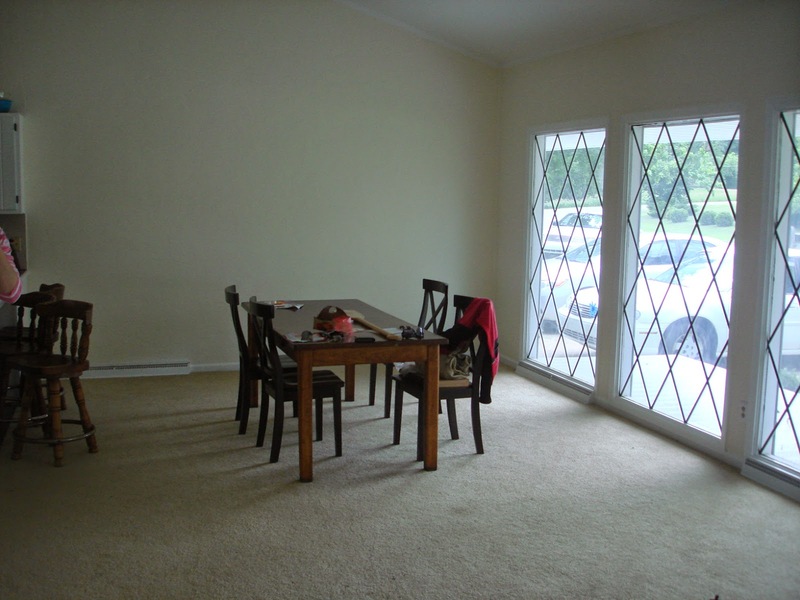 We saw potential - high ceilings, cool beams, lots of light and an open layout. 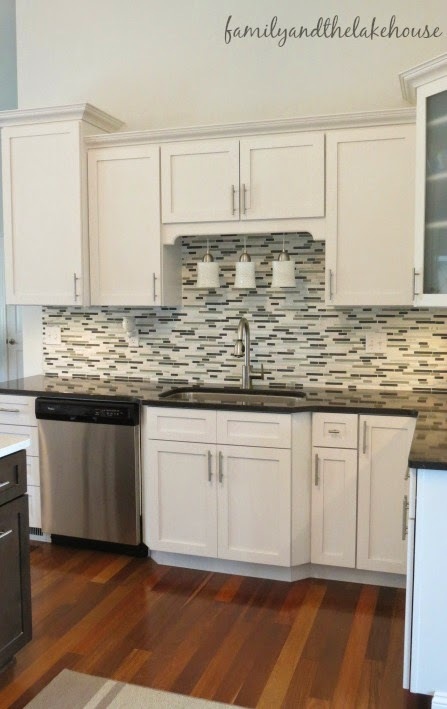 The first thing I knew I wanted to do was to paint the cabinets. My mom came over and we sanded and painted our little hearts out. It was a long process, but it started to come together. 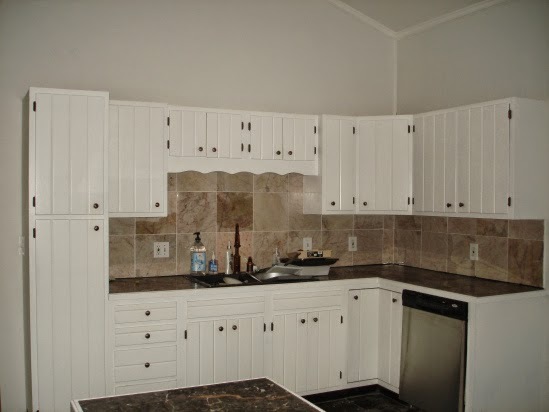 The cabinets had a fresh look and the space had a crisper feel. Jon and I were pretty content at this point. 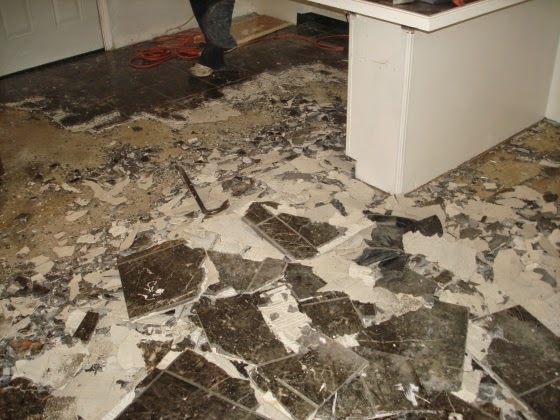 We actually didn't think we'd renovate the kitchen after this...well not for a long time, anyway. It was cute and it was functional. 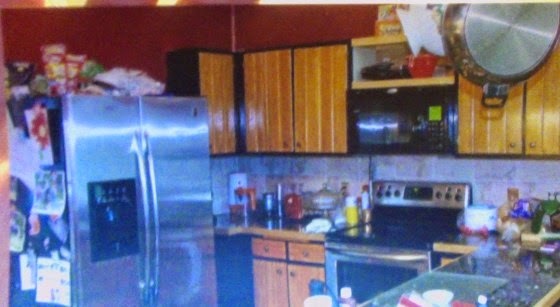 Also, the previous owners left all the appliances! Two years went by and Jon and I started to dream. What if we had hardwood floors? What if we had an island? What if we moved the dishwasher over by the sink? What if, what if, what if? I drew up a few sketches (which I still have to this day) and as you can see, I'm by no means a kitchen designer and I definitely didn't own a computer design program. 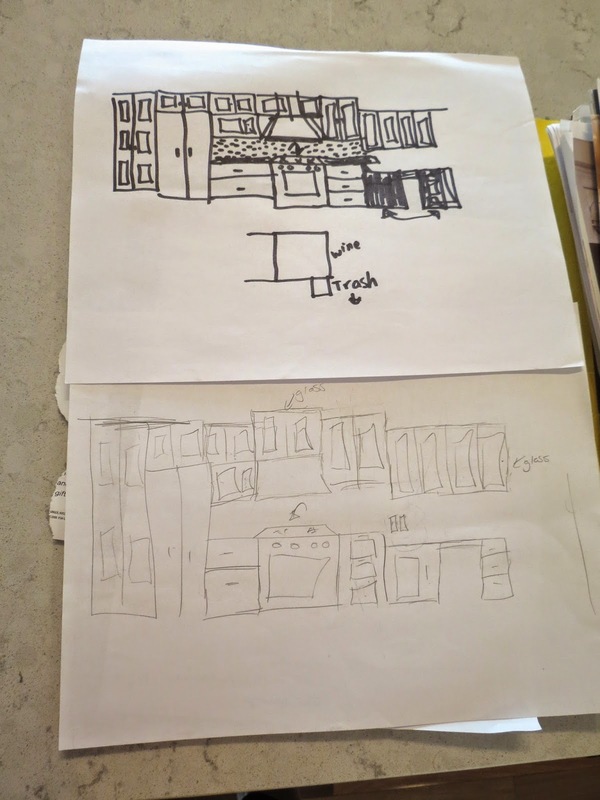 ;) However, the sketches gave us a general idea of the design of the kitchen and how we wanted the space to function. We used our huge muscles...ahem...basic knowledge to begin the demo process! 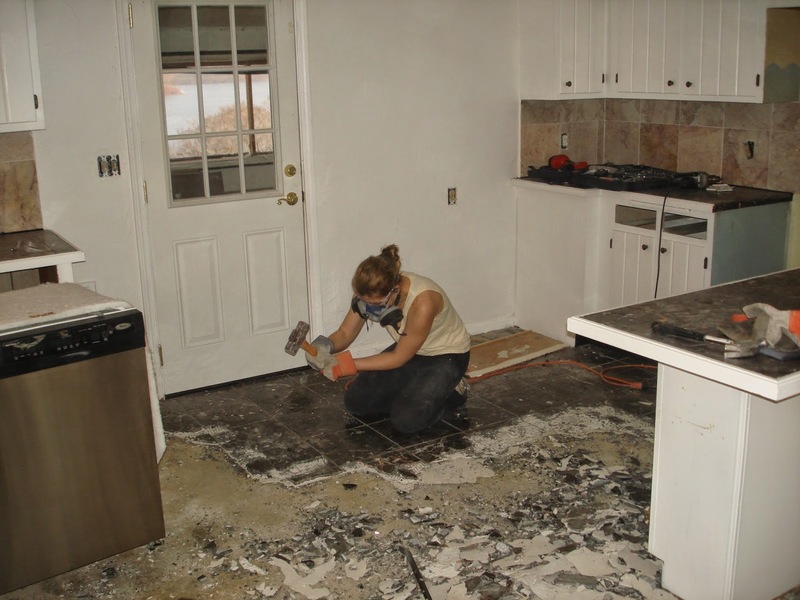 It was a long process from gutting the rest of the house to finally gutting the kitchen. 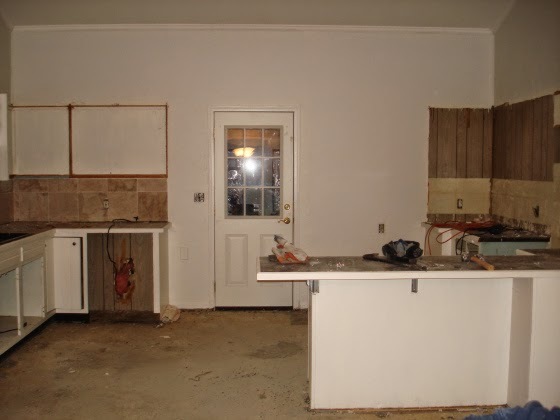 Fortunately, we had another, old kitchen in our basement. We lived in our basement for about a year. 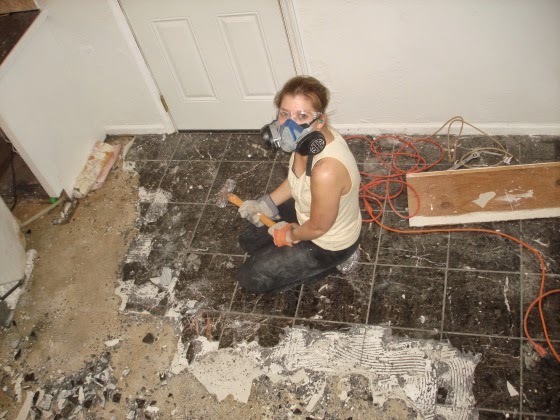 Eventually, hardwood floors were installed throughout the house (January 2010) and we had some drywall repair work done. 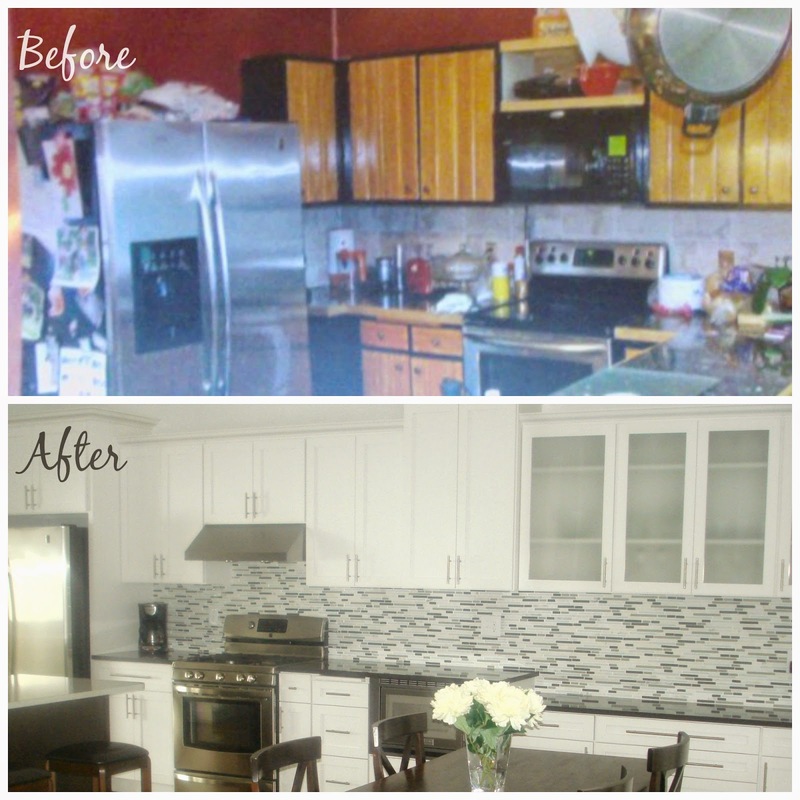 We ordered our cabinets (almost an entire year after we had began the demo process) and waited for their arrival. In the summer of 2010, we also found out about another arrival...I was pregnant! In the fall of 2010, the cabinets arrived and it was a beautiful sight! So there you have it. A little before and after for ya! 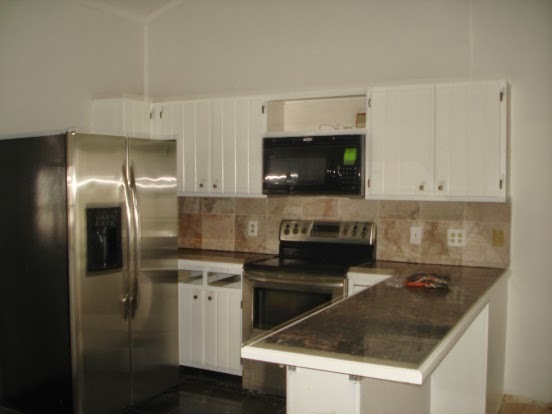 As you can see, our kitchen still has the open concept that we originally loved and the function of the space continues to work well. I'd love to add more decor to this space. 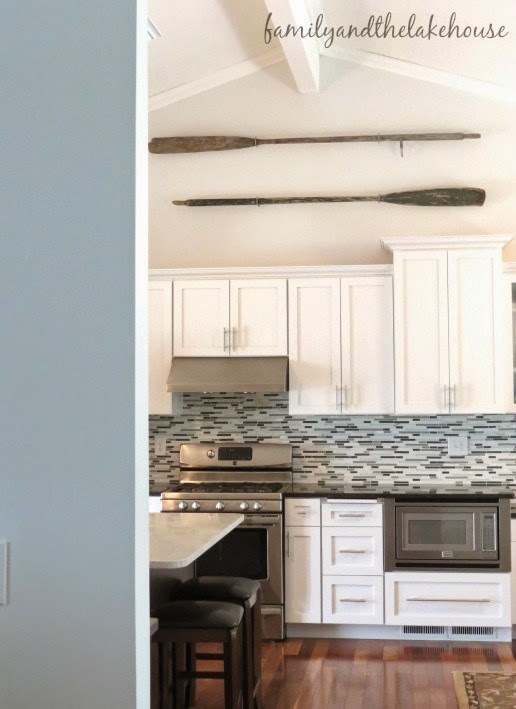 Perhaps a couple rustic/aged diy projects up above the cabinets and some cute decor on the countertops? Do you have a fun before and after project that you've done? I'd love to see it!